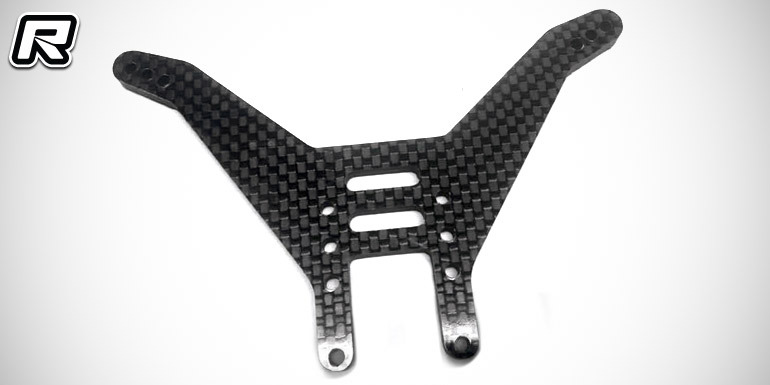 Coming from Darkside Designs are new carbon fibre shock towers for the Yokomo YZ-2 and the Kyosho RT6. 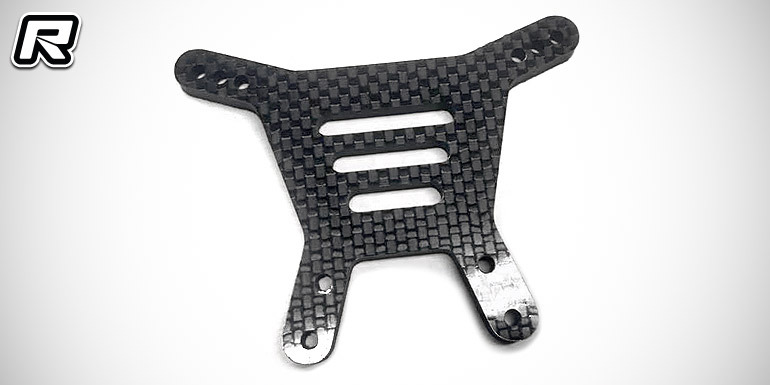 Starting with the Yokomo-related shock stay, the short turf/carpet rear tower was developed for the use with YZ-2T front shock bodies and it is made of 4mm carbon fibre. Using the shock tower will lower the overall centre of gravity for quicker cornering in high-bite track conditions. Next up is a front shock tower for the Kyosho RT6 stadium truck. Cut in house out of 4mm carbon the shock stay offers a revised geometry to take out aggressiveness with the shocks mounting directly to the arms. Holes need to be drilled 49.5mm from inner hinge pin capture screw hole on arm to access the new geometry. Kaiser but not least comes an RT6 rear tower that was developed for the use with the RB6.6 rear bulkhead. The 4mm tower used the factory geometry minus the outer shock mount hole and it sports body mount location changes. Like the above items the RT6 rear tower is made of high-quality 4mm carbon fibre.